AMG's Pick for Best of Genre. 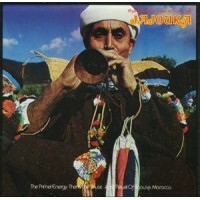 This CD contains the classic recordings, remastered for the digital domain, made originally in Morocco by Brian Jones. The liner notes, written by Robert Palmer, create a verbal accompaniment to music, one which evokes the feeling of making the journey to the mountaintop. One of the most musically inspiring groups still left on the planet. 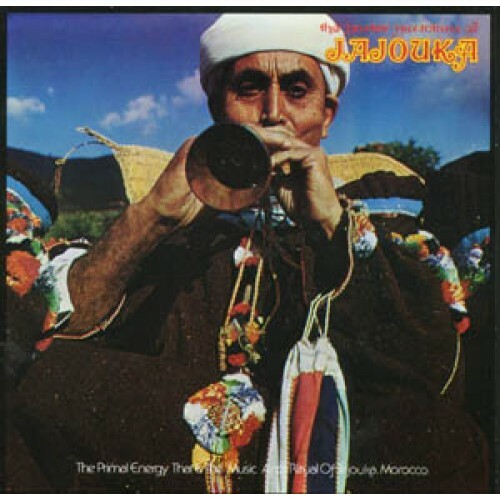 Jajouka. The word itself is fabulously potent, conjuring up visions of magic carpet rides through the moon-like mountains of North Africa. It's also a name that brings to mind a hugely influential circle of friends: Paul Bowles, William Burroughs, Timothy Leary, Ornette Coleman, Led Zeppelin and the Rolling Stones. Each has associations with the fabled Moroccan village of Jajouka and its legendary troupe of trance musicians, a group that Burroughs describes as the world's only "4,000-year-old rock 'n' roll band." Rock may be stretching it, but the Master Musicians of Jajouka do move in some pretty cool company. Ever since Brian Jones, the Stones' most adventurous member, made a pilgrimage to Morocco in 1968 and recorded their ancient, otherworldly sounds, the Jajoukas have acquired the sort of cult status that most rock musicians (including Jones) must die in order to achieve. Their music is a strange (at least to Western ears) combination of high-pitched, nasal buzzing sounds (imagine a swarm of bees) with surging waves of rhythm which can induce an ecstatic trance state.